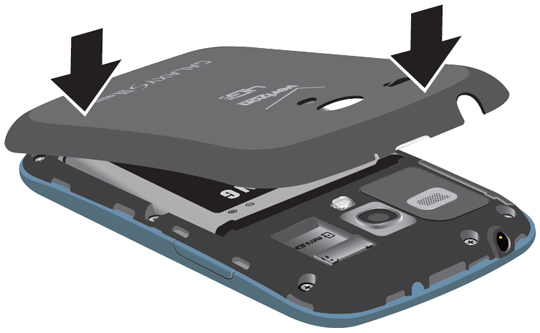 With the display facing away, locate the notch in the cover located on the top edge then gently pull the cover off. 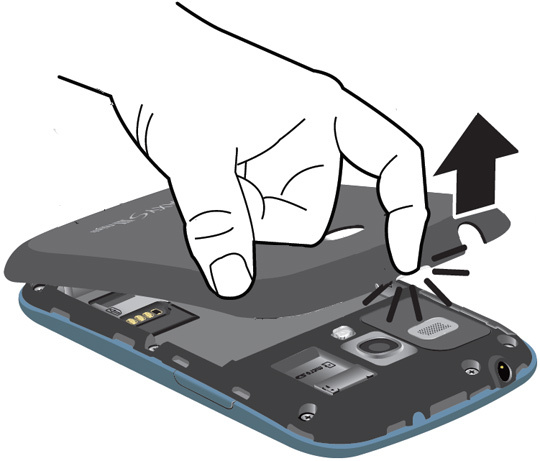 Slide the SIM card out. 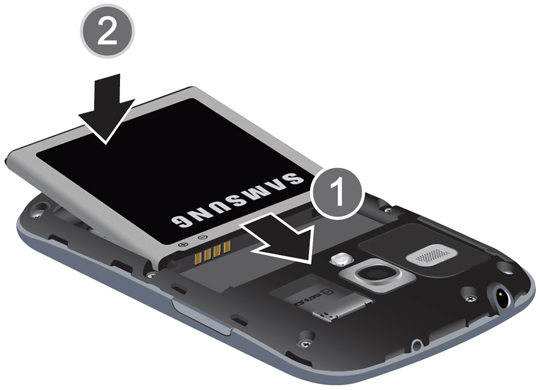 Align the battery contacts (1) with the contacts in the device then press the battery (2) into position. Ensure the cover snaps into place.